Laptop backup is a matter of great importance for both businesses and individual users. 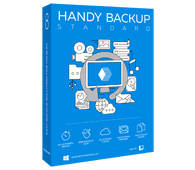 Handy Backup is the reliable laptop backup and restore software designed to keep information safe and up-to-date by making automatic regular laptop backups. Handy Backup is a helpful Windows backup software designed to meet requirements of the widest range of customers: from home users to large businesses. In Handy Backup your IT expertise doesn’t matter much the programs interface is very simple and intuitive to use. 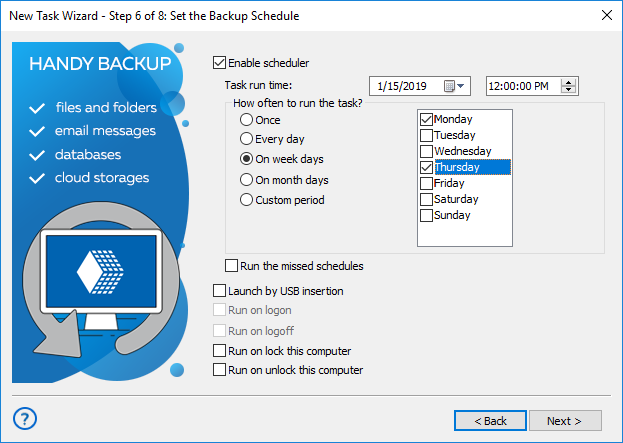 All you need is to create a backup task and then Handy Backup will make laptop backups automatically, on a desired schedule. Download secure backup and synchronization software for your laptop! Free 30-days trial version! How Do We Make Your Backups as Easy as Possible? Easy data selection. Unlike most other laptop backup software that lets you protect only files and folders, Handy Backup features very convenient “presets” and “plug-ins” that allow quickly backing up My Documents, Favorites, operating system, and other data. There’s a great option to limit backup set to certain file types, e.g. choose to copy only .doc and .rtf files. Task Wizard. Handy Backup has a helpful Wizard that helps you to create a new task and assign its properties step by step. Automatic backup. Once set up, the scheduler will take care of your backup tasks, not requiring any further attention. You can virtually forget about backups, the program will do everything on its own, and send you detailed e-mail reports. Synchronization. 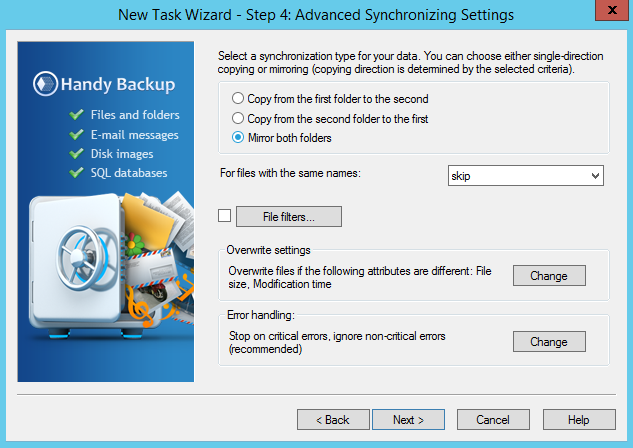 In addition to backup tasks, the utility allows you to perform synchronization (folder mirroring). You can easily configure daily synchronization of data between a laptop and a desktop - it’s perfect solution if you need to use the same files on two computers simultaneously! Data restoration is easy as 1-2-3 and requires a single mouse click! You can restore backup completely, or select separate files to restore. Handy Backup has many other useful functions to keep your backups easy and effective. To learn more, please refer to the full list of backup features of our software. Secure laptop backup is easy and quick with Handy Backup!